We all know Santa loves his chocolate, especially rich hot chocolate spiced with a hint of cinnamon, and he loves cookies too! 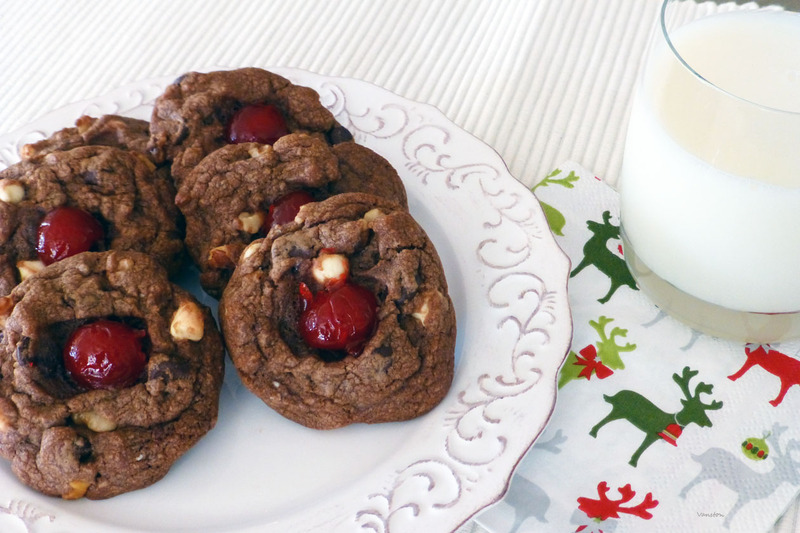 Inspired, of course, by “the most famous reindeer of all”, Rudolph, these cookies combine Santa favorites: chocolate, chocolate, and more chocolate. 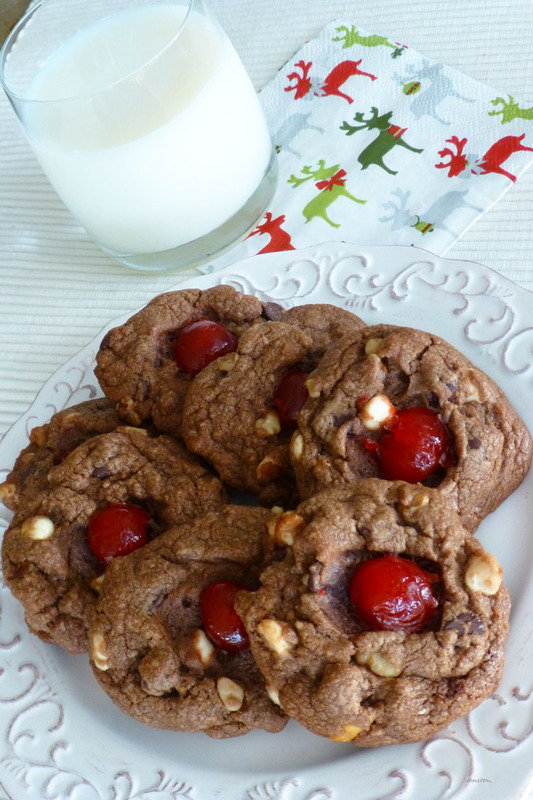 Topped with red cherries, Rudolph’s are sure to remind Santa that his favorite reindeer will always light his way. 1 small jar (125ml) red ‘maraschino’ cherries, cut in half and excess liquid removed with paper towel. Spoon on non-stick cookie sheet, in loosely formed balls. 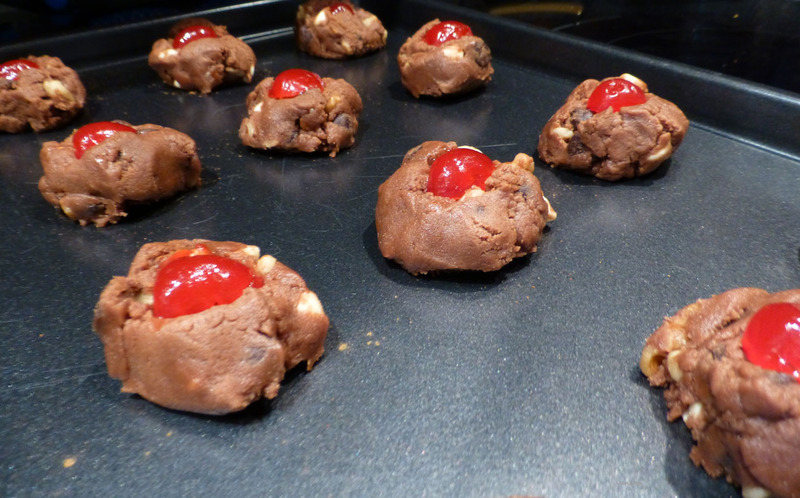 Place a cherry half firmly in center of cookie dough. Bake at 375 degrees for 10 to 12 minutes. Makes 3 and a half-dozen. Out of the oven and into my mouth; yummm…. luscious gooey deliciousness followed by that delightfully sweet cherry. You’re sure to win Santa’s heart if you leave a plate of Rudolph’s with a glass of refreshing milk. 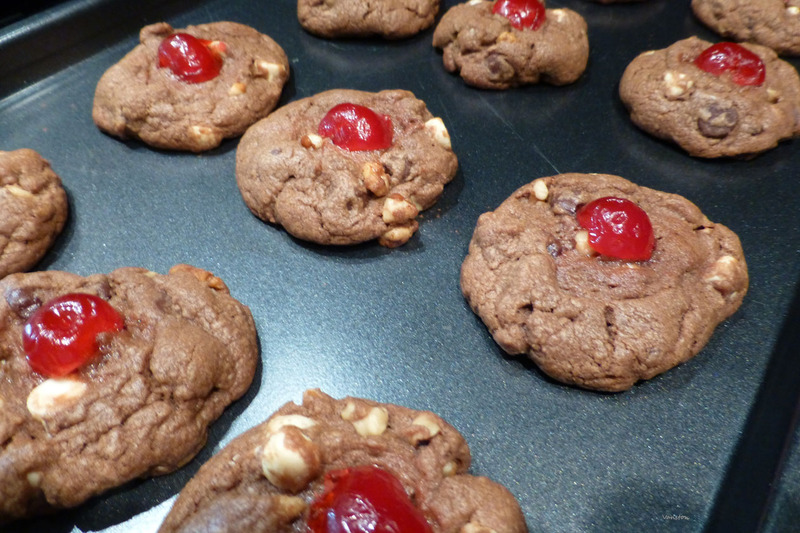 Warning – Bake these cookies before December and there won’t be any left for Santa. 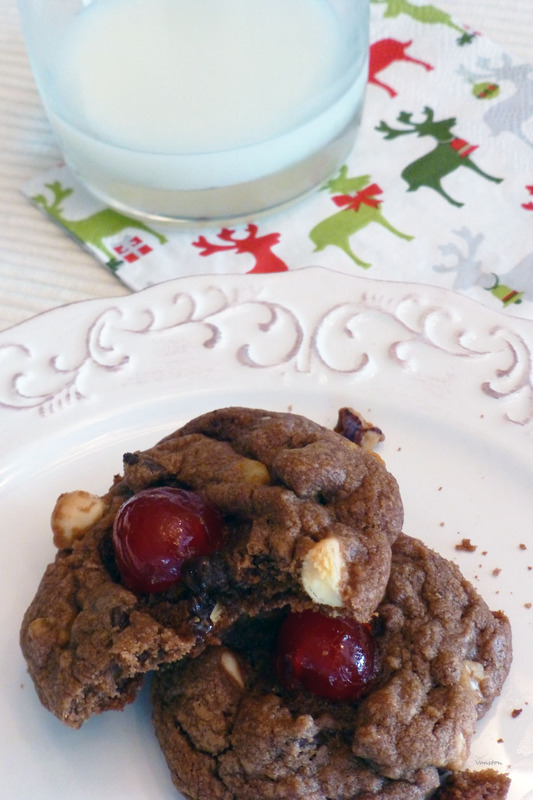 My recipe for Rudolph’s entered in the Christmas in July Cookie Contest as a member of Food Bloggers of Canada.